Exclusive! 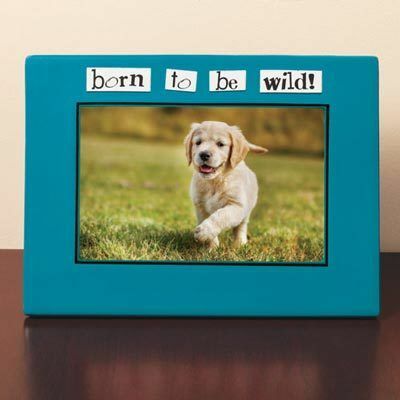 Fun, funky frame highlights a favorite shot of your wild friends, family or even your furr-baby! Our Born Wild! Frame holds a 4" x 6" image. Easel-back base. 7½" x 5¾". Hurry! Quantities are limited!